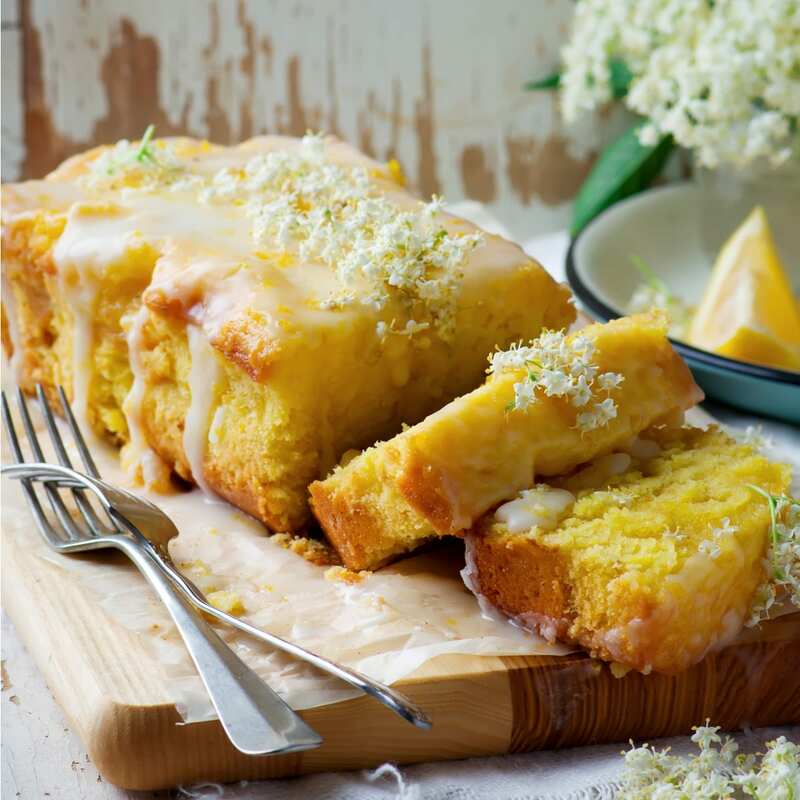 Our Luscious Lemon Drizzle Cake is the perfect treat for Mother's Day. This recipe serves 8 at 2.5 Bites per slice. Pre-heat oven to 180 degrees. Spray a 9″5 loaf pan with low Cal spray oil. Combine flour, baking powder and a 1/2 tsp salt in a medium bowl. In another bowl, combine low fat Greek yogurt, 3 tbsp. artificial sweetener (or to taste), 3 large eggs, the zest of 2 lemons and 1 tsp vanilla extract. Stir to combine. Slowly whisk in the flour mixture. Fold in 4tbsps coconut oil. Pour into prepared pan and bake for about 50 minutes or until a knife comes out clean. While that’s cooking, heat lemon juice and 3tbsps of artificial sweetener in a small saucepan until the sweetener dissolves and the mixture turns clear. Set aside to cool. When the cake is finished, let cool for 5 minutes. Using a fork, prick some holes evenly across the length of the cake and then pour the lemon-sweetener mixture over the top. Set aside and let cool. When cake is fully cooled and lemon sweetener mixture is all soaked in, lightly turn pan and gently remove cake onto a plate. Mix some sweetener in with a little bit of water and stir. Lightly drizzle over cake. Cut into slices and serve.